If you read our article on a regular basis you know about the new Federal regulations about to go into affect beginning October 3rd. After studying the new regulations in depth we’ve put together some Best Practices to help people understand what’s about to happen. New regulations affect closings on financed deals only, 1-4 units residential and multi-family. This will not affect cash deals, so financed buyers will need to work with an experienced agent who understands the changes to make your offer look as Best as it can. Otherwise the seller will just go with cash deals. Listing agents need to really investigate the new rules to protect their sellers. Gone are the 30 day closings. Plan on 45-60 days now, and if there are changes it can be even longer. Here are a few things you can do to avoid re-disclosures and costly delays to your closings. Lending delays about to get real next week. 1. Make sure buyer obtains a 60 day rate lock up-front. In a rising rate environment, if the lender fails to meet the 30 or 45 day rate lock it will trigger a re-disclosure to re-lock the rate. This new time frame could extend your closing up to 10 days or so. 2. Have seller pre-pay their condo and HOA fees. The title company may be forced to acquire a new estoppel letter if the closing is delayed a few days. This happens at the end of a month or quarter. If the new numbers affect the borrower, it could trigger a re-disclosure, which could delay closing up to 10 days. 3. If new extended closings occur before the 5th of a new month, it may not trigger, but after the 6th it can change the borrower’s cash-to-close which can trigger. Dates will become critically important under these new regulations. 4. Have two walk-thrus. A preliminary walk-thru for any repair type items and a final walk-thru solely for the purpose of making sure everything that was supposed to stay with the home is there and for any damages by seller moving out. You really want any repair items fixed well enough in advance and accounted for as new closing and lending disclosures must be accounted for well before closing. 5. Agents will no longer see all the charges to the buyer. The borrower may wish to share this document with your Realtor ASAP so if you’re being over-charged by the HOA, Title Company, or lender it can be spotted quickly. 6. There will not be a unified closing statement on financed deals anymore, so your agent won’t be able to see all the charges to the borrower. The seller charges will be seen, but not the borrower’s. 7. Not all agents will know about the changes. If the agents don’t know, how can the consumer be expected to know? Be sure to work with an agent who does several transactions and is current on lending changes. 8. Communication will be key. Listing agents should call the loan officer before seller accepts a deal with financing. The loan officer may not be able to share with buyer agent everything but a skilled listing agent should be able get the required information. Agents, lenders, title companies, and customers must communicate to avoid costly delays. One delay can create others due to new waiting periods. 9. New sales contracts are coming out soon. We intend to scour the contract for changes as we anticipate several issues that will occur because of new regulations and we want to see how they’re addressed. Otherwise they may need to be addressed by addendum. Be sure to check out SW Florida’s Featured Properties of the Week. Many are speculating that the Fed is going to raise interest rates sometime between September and November. They were all set to raise rates this month until the Chinese markets took a tumble. Most people believe the US is in trouble because China owns so much of our debt. It’s true, China did buy up some of our securities but this was really a hedge to prop up the Yuan. China has been playing financial games for years. Their economy isn’t as strong as many would have you believe. Mortgage rates are more closely aligned with the 10 year note. Even if the Feds raise interest rates it may not move the 10 Yr note much. So it’s not automatic mortgage rates will rise substantially. If they do, sellers could be hit the hardest. Here’s why. For every 1% rise in rates, a buyer’s purchasing power decreases about 11%. This limits the amount of buyers who qualify for your home. But here’s the kicker. Most sellers go on to buy another place and a large percentage finance their next home. So not only does the buying pool shrink for your existing home, but the borrowing costs on your next home increase as well. You now qualify for less on your next home, and if you do still qualify for more, that payment will cost you much more. Over 15 or 30 years that extra payment per month adds up. Waiting to sell and hoping to get an extra $10,000 on your existing home might cost you $50,000 in higher interest payments. 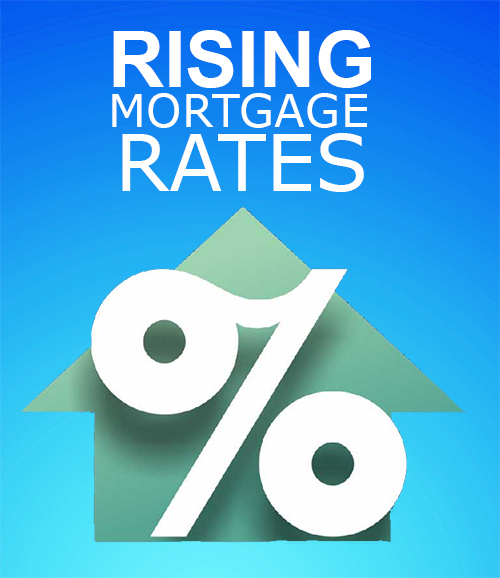 And when rates rise, the appreciation of homes may slow as well because fewer buyers can afford higher payments. Right now we sometimes have more than one buyer for many homes on the market. When you start limiting the buyer pool with higher rates, this could change. It may take some sellers longer to sell. Some sellers may have to reduce their price when the buyer pool shrinks. There are a lot of wildcards when it comes to interest rates. We won’t even get into inverted yield curves and other factors. Suffice it to say that the world market is complicated and rates could rise one of these days. Near zero percent interest rates by the Fed is not normal and will end someday. Sellers tend to hold onto their property because they feel it may gain in price. Chances are, if your home is going up in price, the next one you’re going to purchase is too. And if you’re going to finance it, there’s your triple whammy. Bottom line is waiting may cost you more money than you’ll save by eking out those gains. Nobody blames you for getting all you can for your home; you should. You just may want to weigh what waiting will cost you if you’re going to purchase another home to replace the one you’re in. You also must weigh the carrying costs. Some sellers are hoping their home goes up $10,000 in the next year, but between utility bills, property taxes, maintenance, HOA fees, mortgage payments, home insurance, flood insurance, etc. they find it costs them much more to carry the home than the predicted gain. And that’s assuming an air conditioner or roof doesn’t go bad. 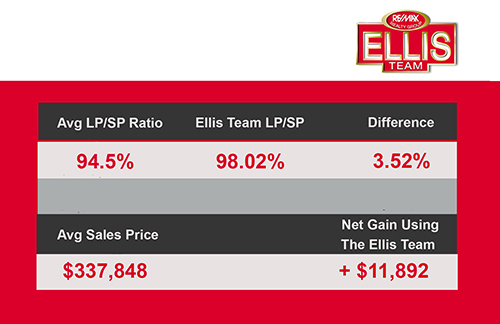 If you’re considering selling, find out how the Ellis Team puts an additional $11,892 in your pocket at closing versus the average Realtor. We’ll be happy to sit down with you and show you how much to expect. We can even help you find your next home if you’re staying in the area. If you’re a buyer and would like to search the MLS like a Pro, visit www.LeeCountyOnline.com You can save your search and the system will email you new homes entering the market as well as price changes when they occur. You can setup multiple searches too. Good Luck and Happy Home Selling-Buying! Reflection Lakes condo overlooking the lake. Fully furnished. You can always call us at 239-489-4042 and speak with us to find out how we can sell your home or find your dream home in SW Florida. Could Choosing the Wrong Realtor Cost You Money? In the real estate industry one of the metrics agents use to measure their success against the market is the List Price/Sale Price Ratio. We know that the sooner the seller prices their home to the market the quicker it will sell and for more money. Overpricing simply insures it stays on the market longer and sells for less money later on. While this may sound counter to logical thinking, it is a truth known in the industry and born out by statistics. The Realtor recommends the price, but the seller chooses which Realtor to hire and which price to list at. While the seller sets the price, the market determines the value. If it is overpriced it will languish on the market. Assuming you have a home that is priced appropriately, there are statistics to measure the market and the average agent’s effectiveness. 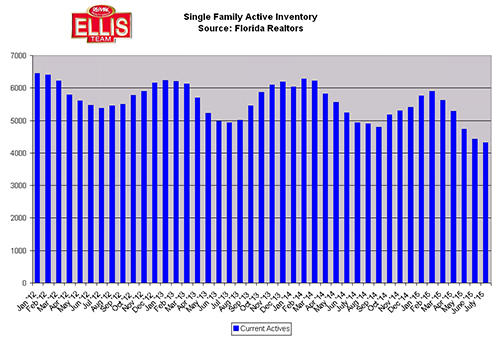 For instance, the average agent selling a single family home in Lee County Florida in July of 2015 did so at 94.5% of asking price. In other words, the buyer received 5.5% off asking price on average. We’ve been monitoring this statistic over the course of the last year and by and large it’s been running about 94%. It can vary a little bit each month. 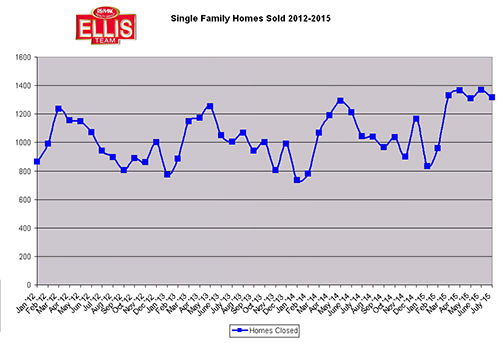 And we know over the years the Ellis Team averages around 97-98%. We recently pulled up our sales in the last year and it ran 98.02%. That’s about a 4% difference for the year and 3.52% over July’s official numbers. So how much is 3.52%? Well, with an average sales price of $337,848 it works out to $11,892. The perception is all Realtors are the same, so what would account for almost $12,000 difference in net to the seller? 3 things influence how much a seller receives at closing. Negotiating skills-The skills of the Realtor you hire make more of a difference than you might think. It doesn’t matter how strongly your agent says the price is firm or argues your position. What matters is how well your agent works with the other Realtor, how much information they gain on your behalf about the buyers ability to pay, motivation, etc. Your agent should also evaluate your position in the marketplace to see where your home stands. This tells you what cards are in your hand and how you should play them. Marketing- Effective marketing brings more interest, and more interest brings the seller more money. Many times an agent can create multiple buyers and the seller can select from the strongest of the offers. Advertising in several places such as print, online, social media, etc, can pay off big for the seller. Secret Sauce- All Realtors have or should have a Unique Selling Proposition. It’s your job as the seller to determine if the agent knows what they’re talking about and if that proposition actually works. Our team has come up with a home selling system so remarkable that it helps us sell homes fast and for top dollar. It is based upon interviews with Top Realtors from all over the country and our own proprietary marketing methods. We no longer share all the details of this system but we’d be happy to sit down and show you many of the parts so you can decide for yourself. The real proof is in the results, not the proposition. When you’re interviewing agents to sell your home, look at their past sales. Evaluate their List Price/Sale Price ratio. Ask detailed questions. Have a conversation about negotiating. If the agent’s strategy is simply to say the price is firm, you might want to ask more questions. Have the agent explain in detail the recommended price for your home. Is the strategy to test the market or do they know what it should sell for? If they don’t know, how are they going to sell it to a buyer? If you’re thinking of selling, we’d be happy to talk to you. You can call us at 239-489-4042 to set up an appointment and see if working with us can net you more money at closing. Featured listing of the week- Riverfront Home.